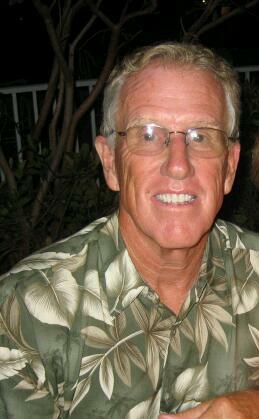 Former Cheshire swim coach Ed Aston has been selected for induction to the NFHS High School Hall of Fame. INDIANAPOLIS, Ind. — Legendary Cheshire (Connecticut) girls and boys swimming coach Ed Aston joins four individuals who excelled as high school athletes, including former Washington Redskins’ all-pro quarterback Joe Theismann and current Los Angeles Clippers’ guard Chauncey Billups, to headline the 2013 class of the National High School Hall of Fame. In 37 years as girls swimming coach at Cheshire High School, Aston’s teams won 25 Connecticut Interscholastic Athletic Conference state championships and had a 414-21-1 record. He coached the boys teams for 33 years, claiming 18 state titles, and recorded an overall record of 410-47. His girls teams won a national-record 281 consecutive dual meets from 1986 to 2011. Joining Theismann and Billups as athletes in the 2013 class are Harrison Dillard, who helped Cleveland (Ohio) East Technical High School to three state track championships before winning four gold medals at the 1948 and 1952 Olympic Games, and Kristin Folkl Kaburakis, who helped her St. Louis (Missouri) St. Joseph’s Academy teams to four state volleyball championships and four state basketball titles in the early 1990s before an outstanding two-sport career at Stanford University. These four individuals, along with five high school coaches, two officials, one administrator and one in the performing arts, will be inducted into the NFHS National High School Hall of Fame June 27 at the Hyatt Regency Denver at Colorado Convention Center in Denver, Colorado. The 31st Hall of Fame Induction Ceremony will be the closing event of the 94th annual NFHS Summer Meeting. High school coaches slated for induction this year include Aston, who retired in 2011 after 37 years as girls swimming coach and 33 years as boys swimming coach at Cheshire High School; Chuck Koeppen, cross country and track coach at Carmel (Indiana) High School for 37 years before retiring in 2008; Chuck Lenahan, who is in his 42nd year as football coach at Plymouth (New Hampshire) Regional High School; Mike Messere, lacrosse coach at Camillus (New York) West Genesee High School for the past 37 years; and James Tate, who has coached cross country and track at Mobile (Alabama) St. Paul’s Episcopal High School for the past 34 years. Jerry Kimmel, a basketball official from Kentucky who recently retired after 56 years as an active official and assigner for the Kentucky High School Athletic Association (KHSAA), and Haig Nighohossian, a soccer official from Granite City, Illinois, who is in his 39th year as an active official with the Illinois High School Association (IHSA), are this year’s honorees in the Officials category. Ronnie Carter, who retired in 2009 after 23 years as executive director of the Tennessee Secondary School Athletic Association (TSSAA), is this year’s inductee in the Administrators category, and Richard Floyd, who is retiring this year after 50 years in music education, including 29 years as director of music for the University Interscholastic League (UIL) in Austin, Texas, is this year’s honoree in the Performing Arts category. Joe Theismann, who was a three-sport star at South River (New Jersey) High School, led the football team to the New Jersey State Interscholastic Athletic Association Group III championship in 1966 with a 9-0 record and 24 touchdown passes. He quarterbacked the University of Notre Dame to a No. 2 national ranking in 1971, and he won a Super Bowl and Most Valuable Player honors during his career with the Redskins. Chauncey Billups was a four-time all-state selection and three-time Mr. Basketball at Denver (Colorado) George Washington High School. He averaged 23.8 points per game for his career and helped his team to state championships as a sophomore and junior in 1993 and 1994. Billups is in his 16th season in the National Basketball Association (NBA), highlighted by six years with Detroit when he helped the Pistons to the 2004 NBA championship. As a senior at Cleveland East Technical in 1941, Harrison Dillard won the city, district and state championships in the 120-yard high hurdles and 220-yard low hurdles. At the 1948 Olympics in London, Dillard won gold medals in the 100-meter dash and 4×100-meter relay. Four years later at the 1952 Games in Helsinki, he won gold in the 110-meter hurdles and 4×100-meter relay. While helping St. Louis (Missouri) St. Joseph’s Academy to amazing records of 137-7 in volleyball and 117-5 in basketball and eight Missouri State High School Activities Association state championships, Kristin Folkl Kaburakis won all-state honors each year in both sports and graduated third in her class with a 4.2 grade-point average. She continued her two-sport dominance at the collegiate level, helping Stanford to three NCAA Volleyball Championships and an overall 125-8 record and two NCAA Women’s Final Four appearances in basketball and an overall 85-11 mark. Along with Aston, the following coaches will be honored with induction in June. Chuck Koeppen led the Carmel (Indiana) High School boys cross country teams to 11 Indiana High School Athletic Association (IHSAA) state championships and the girls teams to 11 titles as well. Five times his boys and girls teams won state titles in the same year. His cross country teams finished second 16 times, and his boys track team won the IHSAA state championship in 2000. Chuck Lenahan won his 19th state football championship last year at Plymouth Regional High School and is the winningest football coach in New Hampshire history. In 43 years at Plymouth, Lenahan has compiled a 345-69-1 record, which includes 13 undefeated seasons and a 57-game winning streak from 2005 to 2010. Since assuming the boys lacrosse coaching duties at Camillus (New York) West Genesee High School in 1976, Mike Messere has posted a 757-55 record (.930 winning percentage) – the all-time mark by a high school or college lacrosse coach. His teams have won 15 New York State Public High School Athletic Association state championships and established a national record 91-game winning streak from 1981 to 1984. After stops in South Carolina and Georgia for nine years to begin his coaching career, James Tate joined the Mobile (Alabama) St. Paul’s Episcopal High School staff in 1978 and started the school’s boys track and cross country programs. Combining boys and girls cross country, boys and girls indoor track, and boys and girls outdoor track, Tate’s teams have won an unbelievable 86 state championships. His girls cross country teams won 16 consecutive Alabama High School Athletic Association state titles from 1983 to 1998 – an all-time national record. After 16 years as an active basketball official in Kentucky, Jerry Kimmel turned his attention to recruiting and training officials and was one of the Kentucky High School Athletic Association’s assigning secretaries for basketball. He also was a highly successful college basketball official for many years. Haig Nighohossian has been selected to officiate the Illinois High School Association (IHSA) Boys Soccer State Finals 17 times and the IHSA Girls Soccer State Finals seven times. He has been a soccer rules interpreter for the IHSA since 1973 and has served as coordinator of officials at the state finals on several occasions. Ronnie Carter joined the Tennessee Secondary School Athletic Association (TSSAA) staff in 1978 and was appointed executive director in 1986. In addition to his leadership at the state level, Carter served on the NFHS Football Rules Committee for 25 years and was chair of the NFHS Basketball Rules Committee for eight years. He was chair of the Football Research Subcommittee for eight years and was a member of the NFHS Wrestling Rules Committee for four years. Carter was president of the NFHS in 2001-02. Richard Floyd is a recognized authority on conducting, the art of wind band rehearsing, concert band repertoire and music advocacy. He has served as a clinician, adjudicator and conductor with appearances in 40 states and nine other countries. As director of music for the Texas University Interscholastic League, Floyd coordinated all facets of secondary music composition for 3,500 performing organizations throughout the state of Texas. The National High School Hall of Fame was started in 1982 by the NFHS to honor high school athletes, coaches, contest officials, administrators, performing arts coaches/directors and others for their extraordinary achievements and accomplishments in high school sports and activity programs. This year’s class increases the number of people in the Hall of Fame to 411. The 13 individuals were chosen after a two-level selection process involving a screening committee composed of active high school state association administrators, coaches and officials, and a final selection committee composed of coaches, former athletes, state association officials, media representatives and educational leaders. Nominations were made through NFHS member associations.